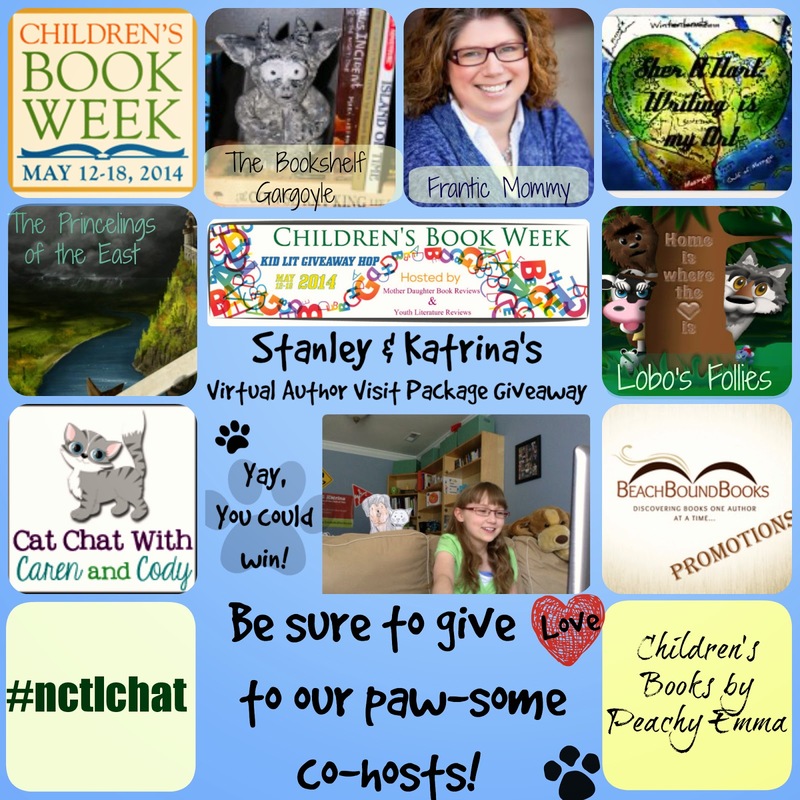 Our paws are dancing because we are offering our Virtual Author Visit Package Giveaway for the second year in a row, as a part of the paw-some Children's Book Week Kid Lit Giveaway Hop. All of the details are below. Scroll down to view the Rafflecopter entry form for our Virtual Author Visit Giveaway or click here to enter, and then be sure to come back to enter the many other giveaways available in the paw-tastic Children's Book Week Kid Lit Giveaway Hop (scroll all the way down for that amazing giveaway filled linky)! Mother Daughter Book Reviews and Youth Literature Reviews have joined forces to provide you with this giveaway-filled linky list for the week. The giveaways (books, gift cards, cash, or other prizes) are offered by over 100 authors, bloggers, publishers, and publicists. Thank you so much for taking the time to visit. We paw-preciate you! 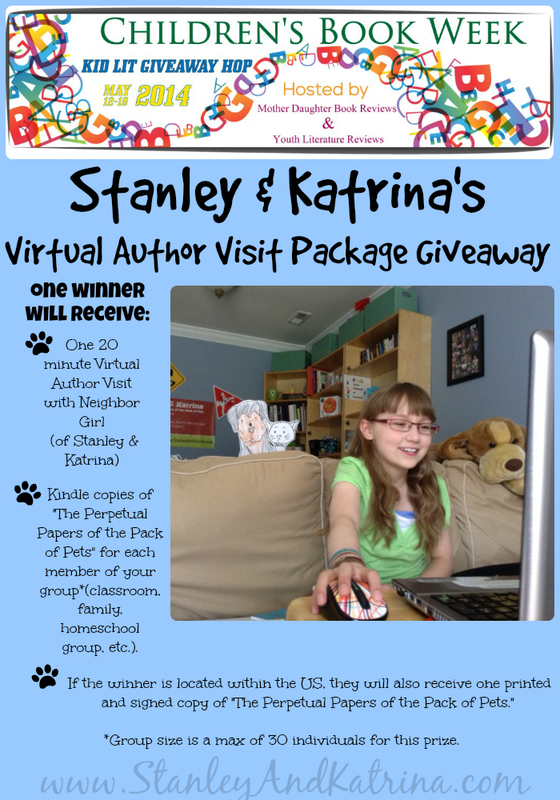 Prize: One winner will receive a 20 minute virtual author visit with Neighbor Girl (of Stanley&Katrina) via Skype or Google+ Hangouts for the group of their choice (classroom, family, homeschool group, etc.) AND a Kindle copy of The Perpetual Papers of the Pack of Pets for every member of the group. * If the winner is located within the US, they will also receive one print and signed copy of The Perpetual Papers of the Pack of Pets. *Group size is a max of 30 individuals for this prize. Open: Internationally, please note that Neighbor Girl only speaks English. Terms and Conditions: NO PURCHASE NECESSARY TO ENTER OR WIN. VOID WHERE PROHIBITED BY LAW. A winner will be randomly drawn through the Rafflecopter widget and will be contacted by email within 48 hours after the giveaway ends. The winner will then have 72 hours to respond. If the winner does not respond within 72 hours, a new draw will take place for a new winner. Odds of winning will vary depending on the number of eligible entries received. This contest is in no way sponsored, endorsed or administered by, or associated with Facebook, Twitter, Google+, or Pinterest. 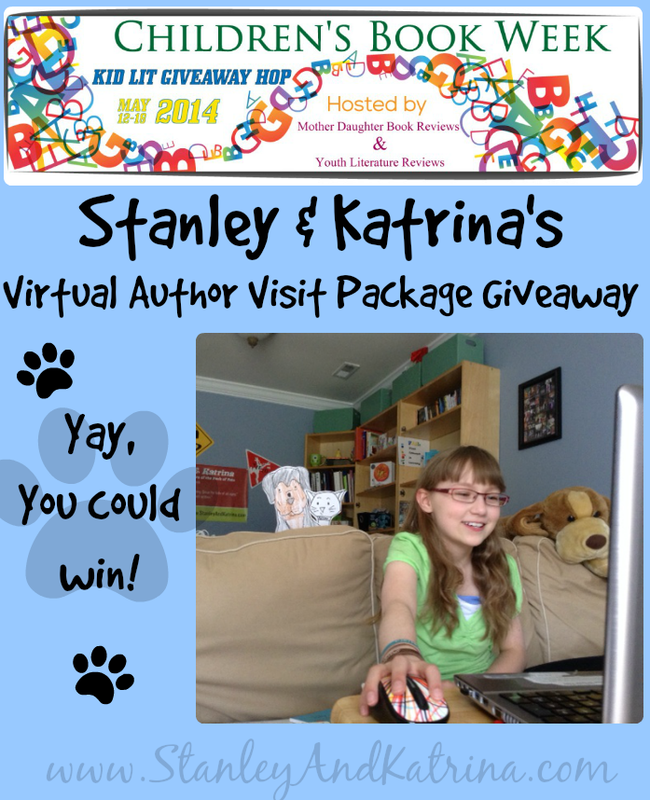 This giveaway is sponsored by Stanley & Katrina and is hosted and managed by Cool Mom/Christine. If you have any additional questions - feel free to send an email to StanleyandKatrina(at)gmail(dot)com.